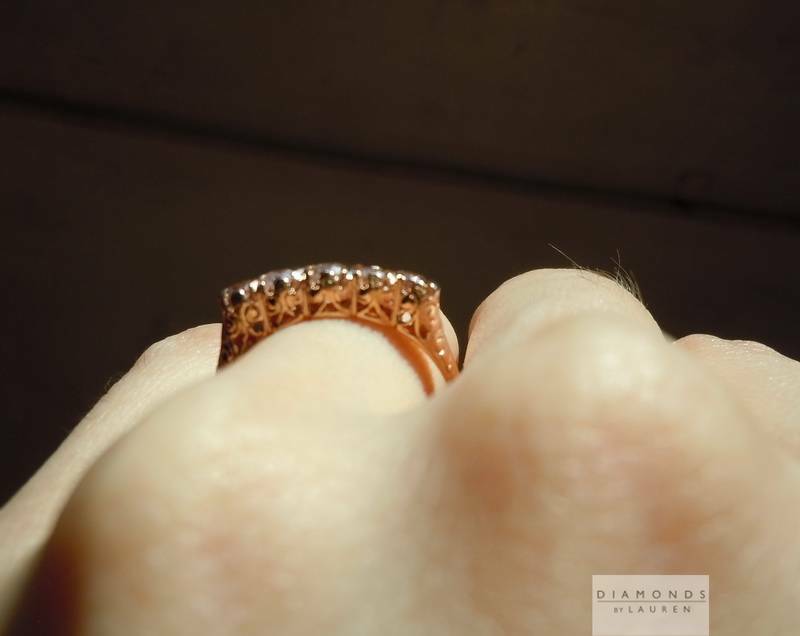 Here is a ring we originally manufactured almost 10 years back. 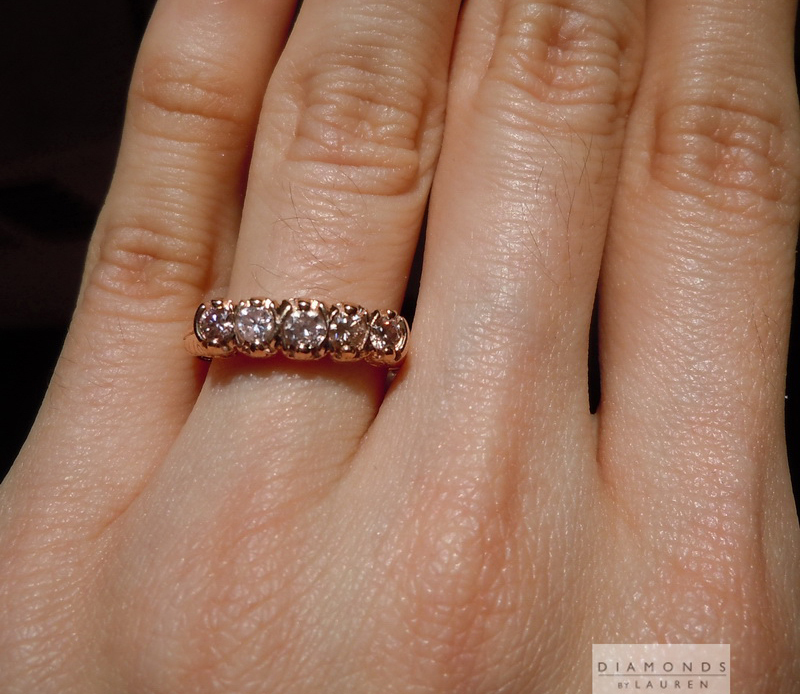 The stones came from a large parcel we bought. 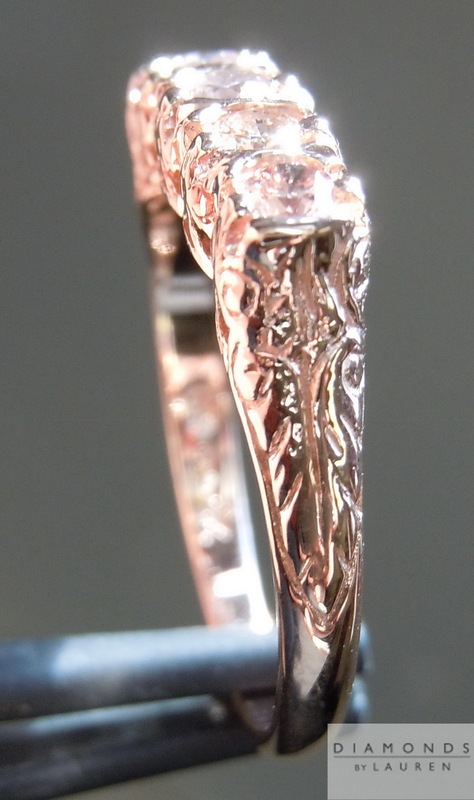 Today, it would be far more difficult to find such stones. 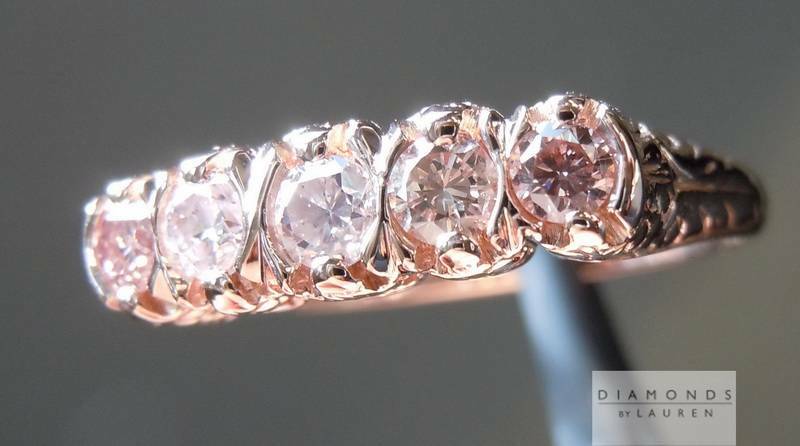 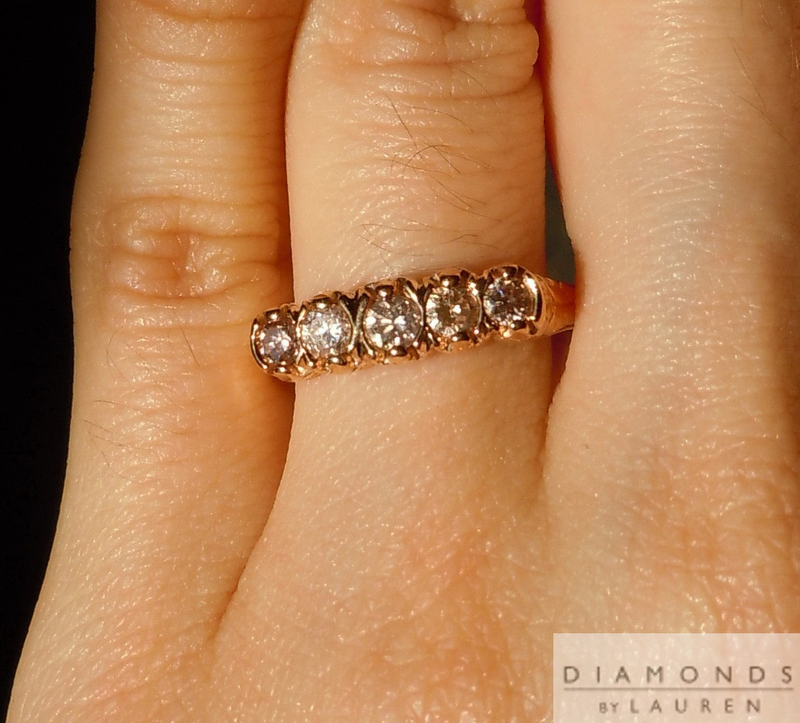 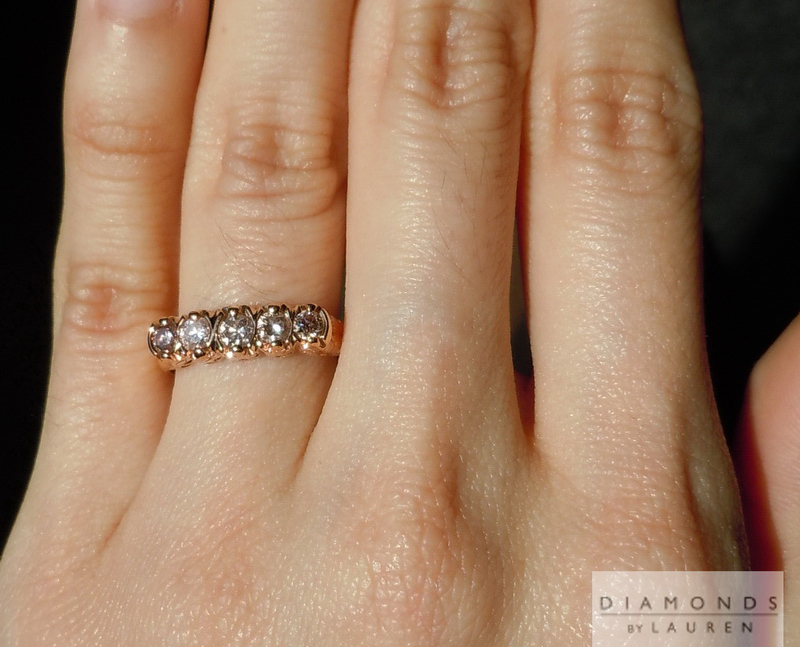 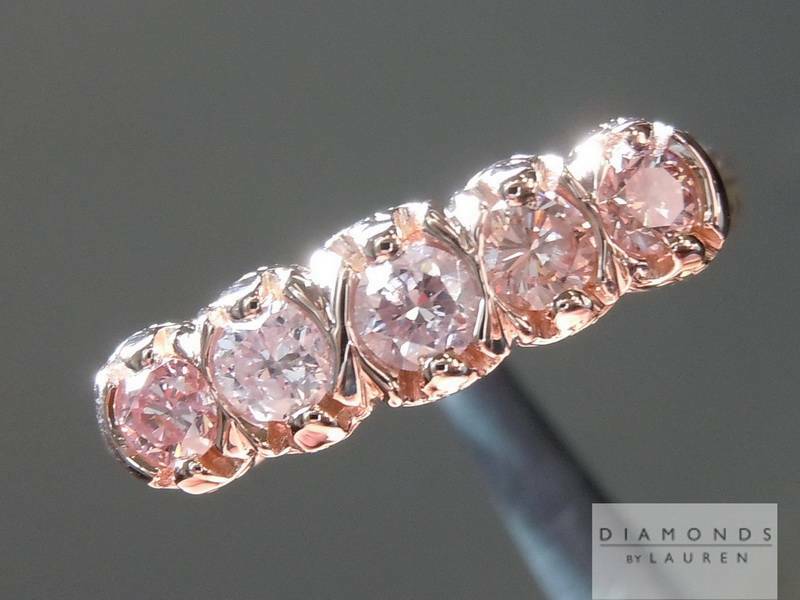 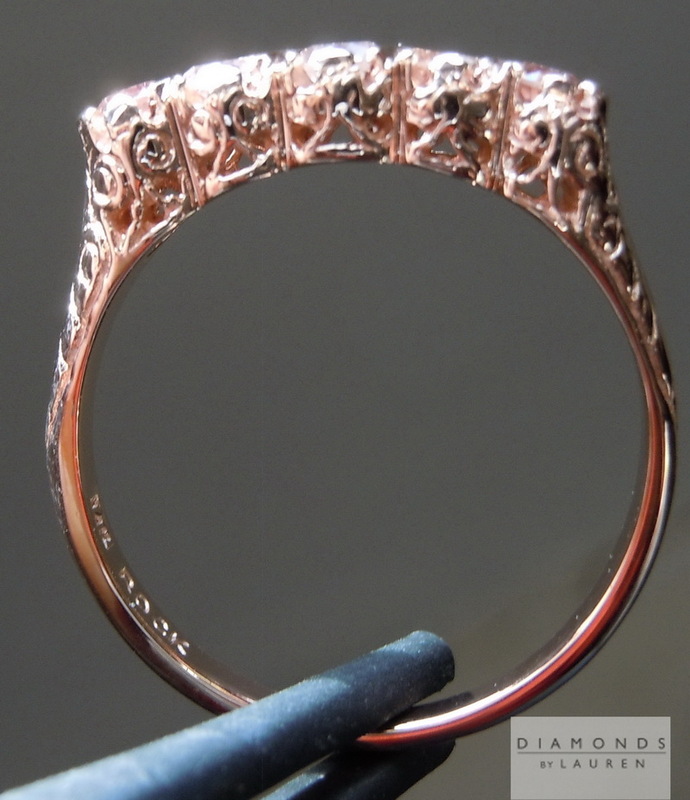 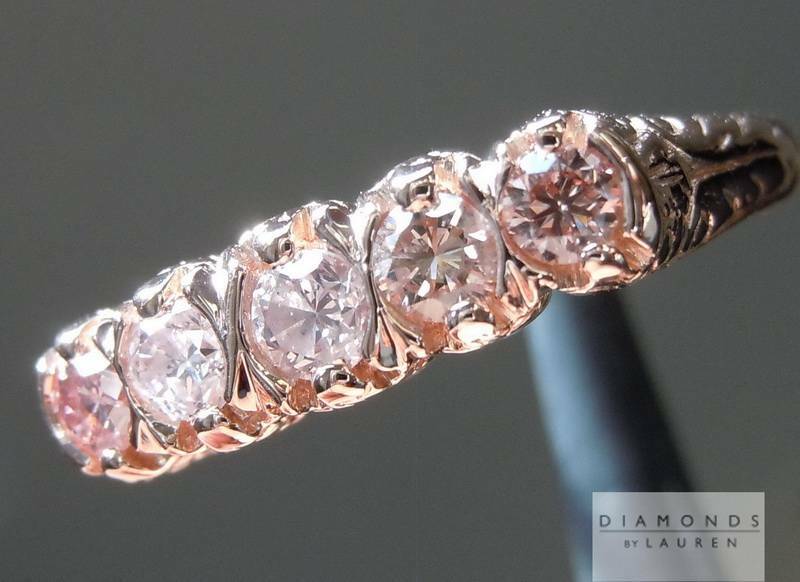 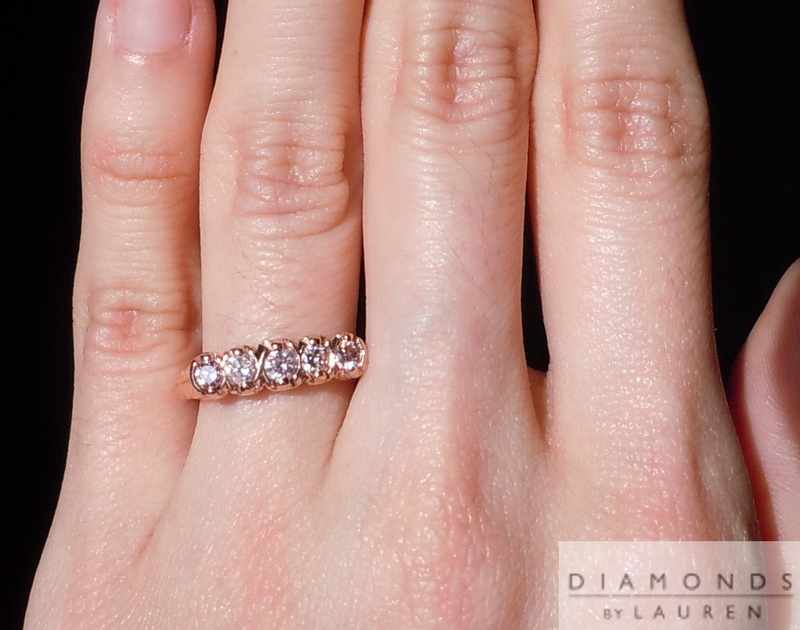 The 14kt rose gold setting has a lovely carved antique look. 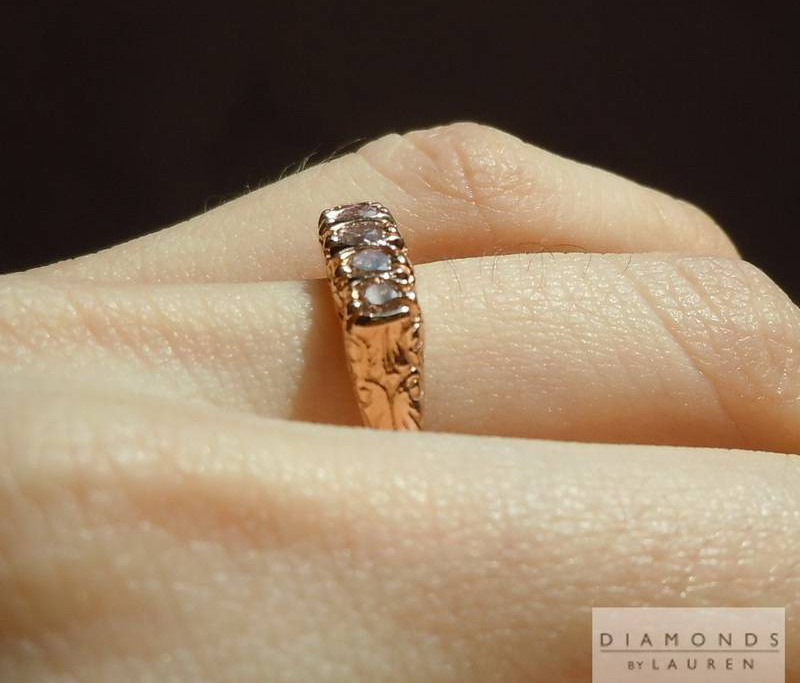 The ring is a trade up - although it is in as new condition.